In 2015 Opera Lively extensively interviewed the great tenor Roberto Alagna, in one of our most interesting pieces to date. That must-read article can be consulted by clicking [here]. On January 25, 2018, we had the pleasure of meeting the singer again, backstage at the Met in his dressing room, after his extraordinary performances of Turiddu in Cavalleria Rusticana, and Canio in Pagliacci. Our review of the show can be read [here], with many production pictures. Roberto was extremely kind to Opera Lively, agreeing with a mini-interview of about ten questions and some follow-up dialogue, in spite of the fatigue of two strenuous roles back-to-back, and a very long line of fans who were eager to get an autograph and a selfie with the artist. We voluntarily kept the interview short because it was past midnight, but Roberto gave us no sign that he wanted to rush it through, and most likely would have answered more questions if we had asked them. Opera Lively had the pleasure of interviewing the great tenor Jonas Kaufmann, on the occasion of his magnificent interpretation of the title role of Parsifal in the new production of the opera by the Bayerische Staatsoper, which we attended live on July 1, 2018 in Munich. Given the multiple demands on the famous tenor's time, we kept it short, but his intelligence and erudition still shine through, in his answers to our eight questions. This interview is part of our Central Europe coverage trip in the summer of 2018, when we visited four countries, seven cities, and eight opera companies where we attended sixteen performances in as many days and interviewed twenty artists. We gathered this material in a portal with links to all articles and interviews. Click [here] to consult the portal. Our rendition of the great interviews we collected this past summer in Aix-en-Provence continues. We apologize for the slow pace: this one, since it was conducted in French, needed to be transcribed in French, submitted to the artist, then translated into English, but the wait was worth it, because the excellent baritone Stéphane Degout who sung a superb Pelléas has very interesting insights about the symbolic aspects of the opera. Stéphane is a great singer with very acclaimed performances in the best European houses and although more rarely, he's been to this side of the pond as well, performing the same role (and three others) at the Metropolitan Opera House, and he was also seen at the Lyric Opera of Chicago. [Opera Lively interview # 132] Opera Lively was honored to present to our readers a short interview with the outstanding tenor Juan Diego Flórez the day we launched our website. A couple of years later and after Opera Lively's growth including 131 exclusive interviews with prominent artists, it was our pleasure to address Mr. Flórez again, this time for a long in-person interview at the Met in early May on the occasion of his performance of Prince Ramiro in La Cenerentola. Below you will find the transcript of this piece. We again thank Mr. Flórez for his support of Opera Lively and his time. Continuing our publication of the interviews and reviews that resulted from our in-person coverage of the latest Festival d'Aix-en-Provence [see the portal which contains links to all articles by clicking (here)], today we are bringing to our members and readers a very interesting interview with the intelligent French bass-baritone Laurent Naouri, who sang a perfect Golaud in the gorgeous Katie Mitchell production of Pelléas et Mélisande (a full review of the show and other related interviews are also available in the portal above). Laurent's long and prestigious career boasts great roles and fantastic discography. The artist commands incredibly good English and possesses an engaging personality. Talking with him in person was a pleasure. Enjoy! Barbara Hannigan in our opinion is simply the best interpreter of contemporary music in activity (an opinion we share with Sir Simon Rattle) - and she certainly holds her own in the Baroque and Classical repertories as well, not to forget that she is now a well-regarded conductor too. After the spectacular and deep interview that this hugely intelligent and multi-talented artist gave us on the occasion of her creation of the role of Agnès for George Benjamin's masterpiece Written on Skin, we had the pleasure of meeting her again in person at the 2016 Festival d'Aix-en-Provence in Southern France, when she sang the female title role in Pelléas et Mélisande, in arguably the best production of this opera in modern times. We had a very relaxed and informal talk in a sidewalk café in the beautiful town of Aix, discussing several psychological nuances in this opera, and a number of other topics. Opera Lively attended in person the fabulous Festival d'Aix-en-Provence in Southern France, in the summer of 2016. We interviewed the talented and intelligent artist Kate Lindsey who sang the role of Dorabella in Christophe Honoré's daring production of Mozart's Così fan tutte. Kate's answers are very interesting! Opera Lively's interview # 163 is with the great Swedish baritone Peter Mattei. His unconventional and insightful answers are very entertaining. The interview was done in person at the Metropolitan Opera House in New York City on February 11, 2015, on the occasion of his performance of the title role in Don Giovanni. Opera Lively has interviewed Roberto Alagna, and it is one of our best interviews to date. This is the Opera Lively interview #159, and now both the French original and the English translation are available. Our French-speaking readers can benefit from this delightful and revealing piece by clicking [here] to see the French version. Scroll down or click on Read More below for the the English version. Opera Lively interview # 160 is with the outstanding Latvian mezzo Elīna Garanča. She is a fierce, proud, and intelligent artist. Her answers are extremely interesting and it is a great honor that a singer who is seen by many of our members as the best mezzo in her generation has granted us this interview. Two Opera Lively journalists met her in person on February 10, 2015, at the Metropolitan Opera Press Lounge, on the occasion of her Carmen with Roberto Alagna (who was also interviewed by us). We found that Elīna is a fascinating person, in addition to being a great artist. Opera Lively Press in conjunction with CreateSpace has published on April 3, 2018, the third book of our opera guides series, on Tchaikovsky's masterspiece Eugene Onegin. It is difficult to appreciate in the 21st century how much of a novelty was Onegin, when it premiered in Moscow. Back in 1879, most of Russian and Slavic opera was devoted to political topics (A life for the Tsar, Boris Godunov, Khovanschina…), fairy tales (Ruslan and Ludmila, Rusalka, May Night…) or even biblical adaptations like Serov’s Judith. However, Onegin was centered on the life and passions of standard human beings. Onegin is a Romantic opera. It is also full of melody. There are no formal experiments here. It was the perfect daughter of her times. Of course, with such a skillful instrumental music composer for the orchestra as Tchaikovsky, we can find many fine details in the orchestration, as well as some motif building. But the prominent role is never in the pit: it’s in the voices of the singers. This Opera Lively guidebook will walk the reader through the opera’s libretto (with a new translation), musical structure (in terms that can be understood by all), circumstance of composition, trivia, and wil provide CD and DVD reviews, comments on live performances, and interviews with singers and a conductor. Enjoy! 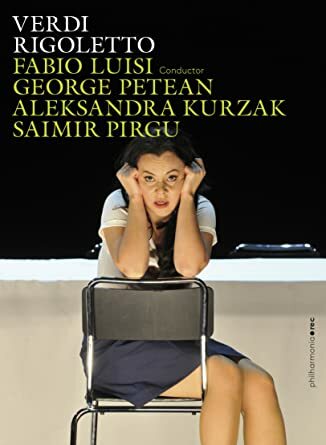 [Opera Lively interview # 131] On the occasion of her performance of Dorabella for the Metropolitan Opera's Così fan tutte in early May 2014 (see our review [here]), Opera Lively met in person the great American singer Isabel Leonard, for this interesting interview. We were particularly impressed with Isabel for her intelligence, friendliness, and solid demeanor. She is direct, straightforward, articulate, genuine, and strikes us as a very good and hardworking person. Given her beautiful voice, fabulous looks, and accomplished acting, this young lady certainly deserves the success her career has achieved. Our already significant admiration for her artistry grew even deeper after her charming interview, which we are pleased to share with our readers.